The 2.8-mile out-and-back begins across Wolf Gap Road from the Wolf Gap Campground, deep in the heart of the Great North Mountain area. (Note: The hike to Big Schloss heads the opposite direction, beginning along the campground drive to the east.) There is a small, rugged parking area on the west side of the road, not recommended for vehicles with low clearance. The Tibbet Knob Trail begins just beyond. 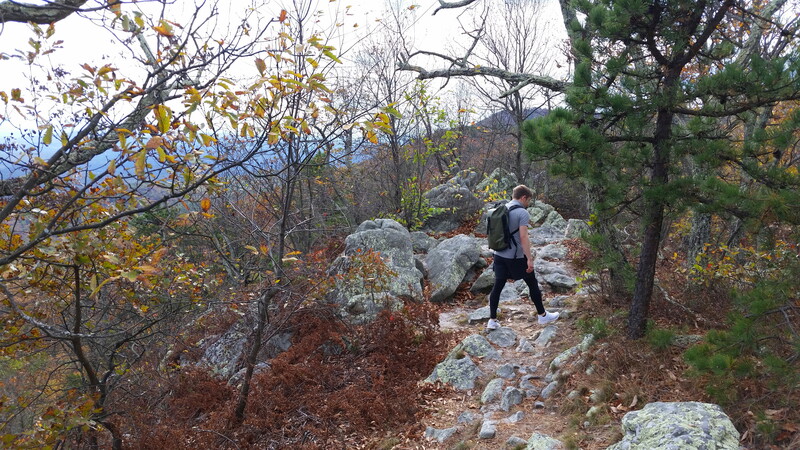 Hikers will start on a relatively flat and wide path that weaves through dense woods. 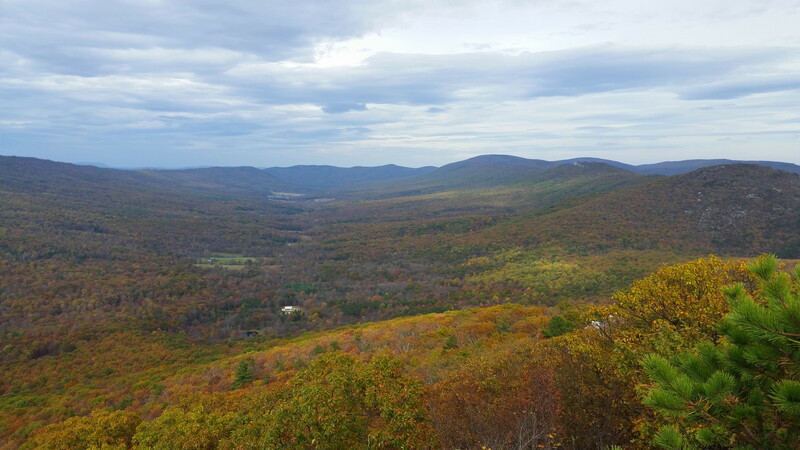 Passing a picnic table and fire pit on the right, the Tibbet Knob Trail bears southwest on the Virginia side of the border. Leaving the crowds of the Wolf Gap area well behind, the trail begins to climb sharply at 1/10 mile amid beech, oak, and maple trees. There are obscured views to the east as the path flattens out at around 1/3 mile and passes minor rock outcrops on the left. After a brief descent, the trail comes to a fork at around ½ mile. 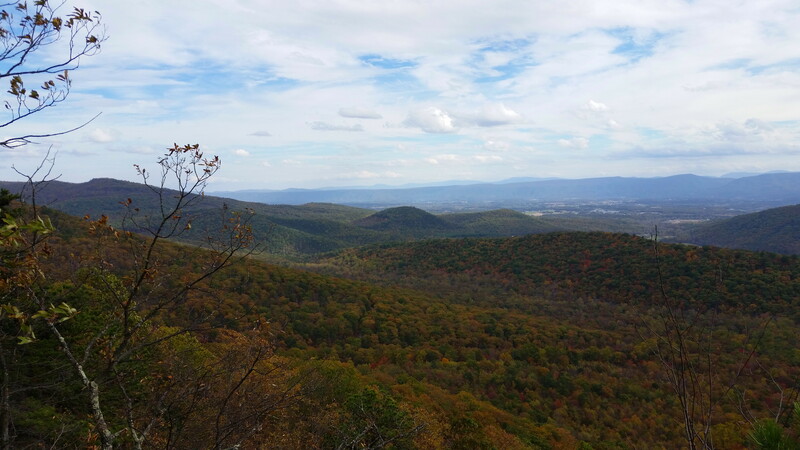 Bear left on a short spur that leads to a magnificent viewpoint looking east to Bowers Mountain (1,878’), Threemile Mountain (2,060’), and the Shenandoah Valley. 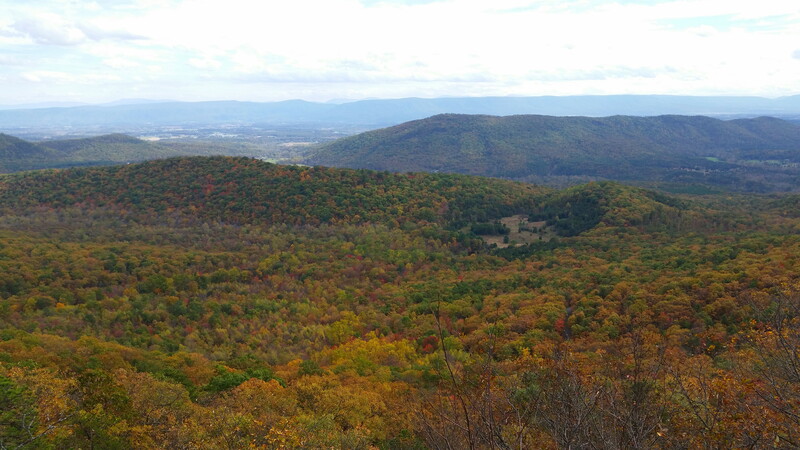 Two additional ranges are visible on the horizon: the 50-mile long Massanutten Mountain, with the higher Blue Ridge Mountains of Shenandoah National Park beyond. The view southeast, seemingly a sea of endless green, is one of the best in the region. Back on the main trail, continue left and descend to a low saddle. 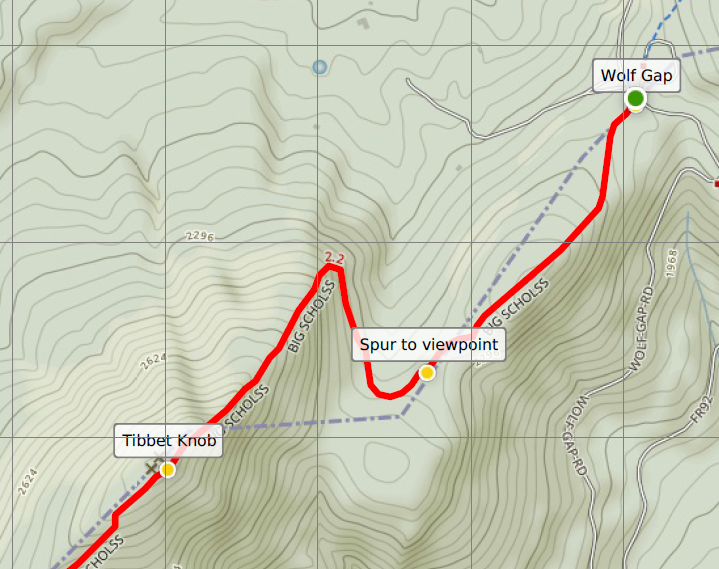 After flattening for roughly ¼ mile, the narrow singletrack resumes the climb up to Tibbet Knob at around 8/10 mile. By now you are heading northwest and have crossed firmly into West Virginia. After rounding a bend at about the 1-mile mark, the incline steepens. After a brief respite, the path approaches the base of a rocky outcrop at 1.25 miles. 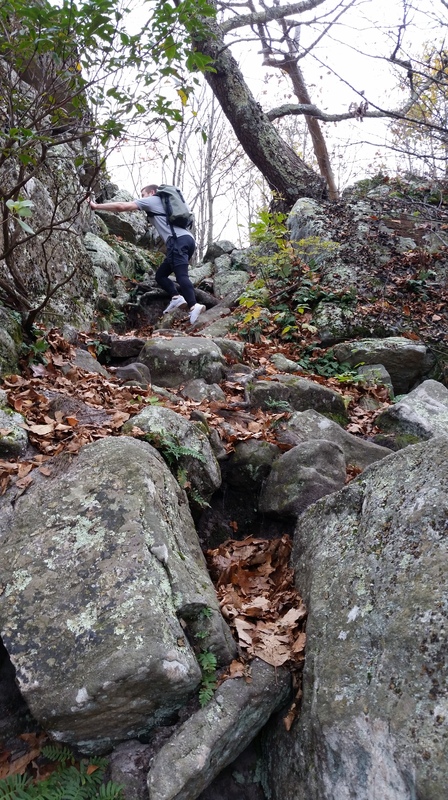 Ascend the steep rocky terrace and continue along the relatively level trail as it enters a patch of mountain laurel. 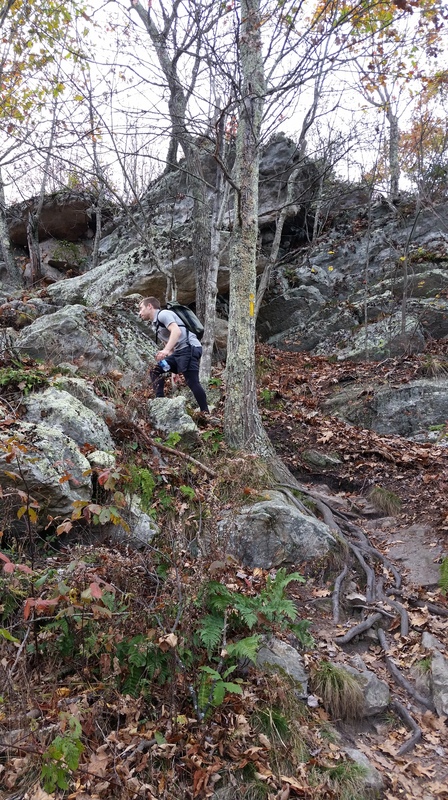 Repeat the process again at 1.35 miles, where hikers must mount a second rock scramble. Now near the top of Tibbet Knob, the path weaves through a pine thicket and emerges at a tremendous viewpoint, the nominal end of this hike. Trout Run Valley unfolds below, bounded by Long Mountain (3,128’), Halfmoon Mountain (2,826’), and Mill Mountain (3,293’). 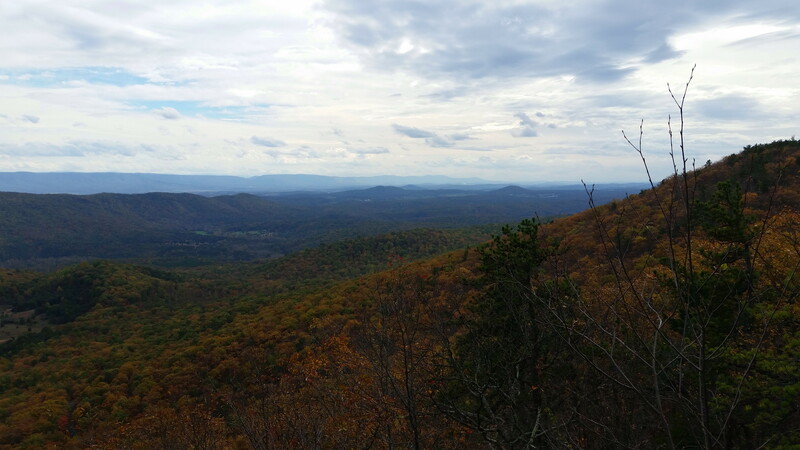 Up to the left, a gradually sloping ridgeline climbs to meet Long Mountain at an area called Devils Hole, while Great North Mountain continues beyond to the southwest. Endless blankets of trees are interrupted only by small pockets of rustic farmsteads, while no road can be seen or heard. The outcrop at Tibbet Knob is small, meaning you may have to share this ideal lunch spot with others. Even on a busy day, however, the crowds are likely to be a fraction of those on Big Schloss. Just beyond the viewpoint is a lovely campsite shrouded by pines. While the trail continues for another mile, it is largely devoid of views, making this a good turnaround point for day hikers. The return journey is nearly all flat or downhill. 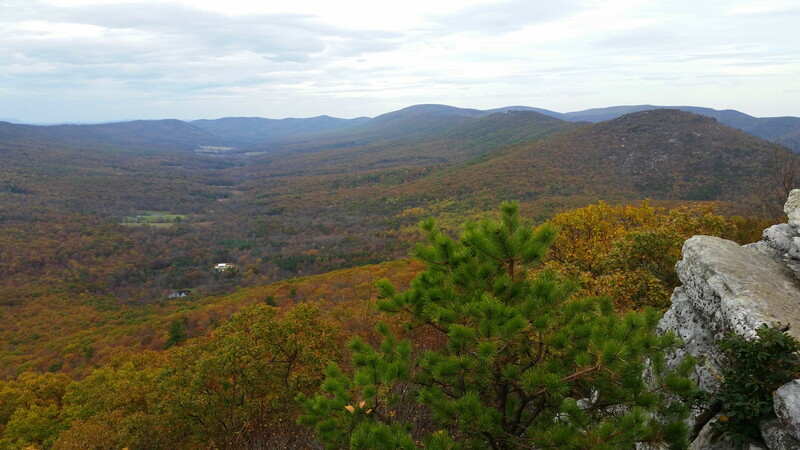 Allot between 2-3 hours for this hike, allowing for plenty of time to take in the trail’s two excellent overlooks. If you haven’t done so already, it is worth also hiking the 4.2-mile out-and-back to Big Schloss. 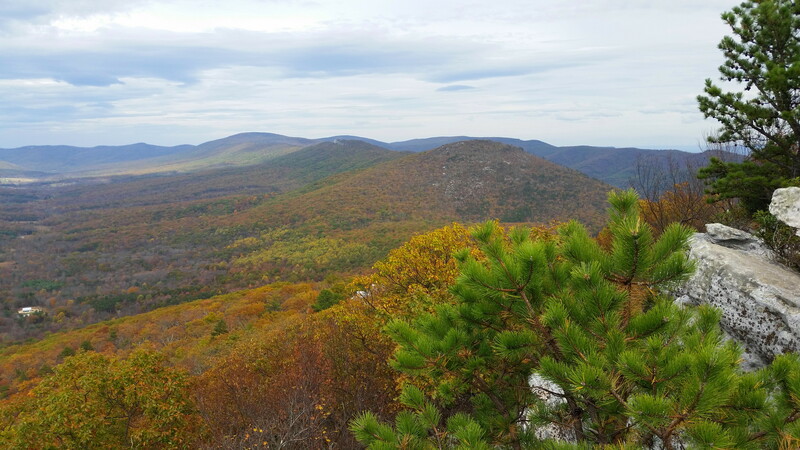 The combination of the two hikes makes for a fine day in the Great North Mountain range. 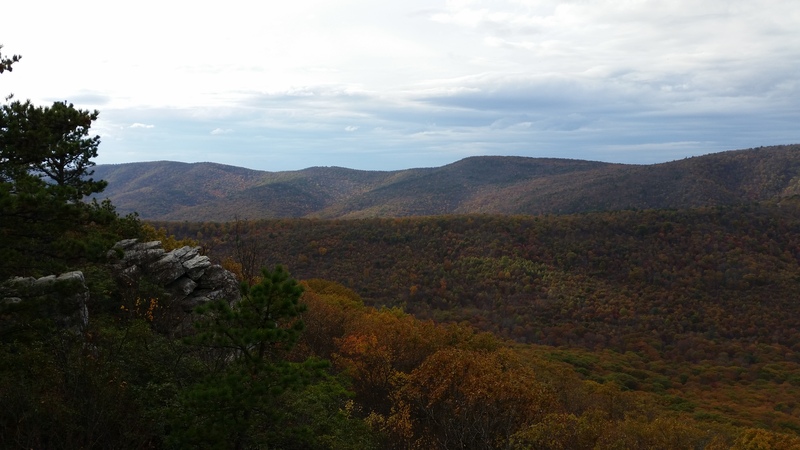 This entry was posted in George Washington National Forest, Moderate Hikes, Virginia, West Virginia and tagged Big Schloss, George Washington National Forest, Great North Mountain, Shenandoah Valley, Tibbet Knob, Trout Run Valley, Virginia, West Virginia, Wolf Gap. Bookmark the permalink.